Google’s strange new fashion site Boutiques.com launched in beta today at prime time before the holidays. For merchants, the concept is similar to pay-per-click ads, with retailers paying when a user clicks through from Boutiques.com to their websites. For users (ahem, women users for the time being), it’s a personalized online store aiming to bring targeted clothing, accessories and inspirations for outfits based on your personal style. But what does it mean for search? Still too early to tell, but Greg Sterling at Search Engine Land said today that Google didn’t comment on the integration of Boutiques.com info in the SERPs or Google Product Search. But we know better, Google. We know there are innumerable ways this could change things yet again. And with Google incorporating the social aspect into Boutiques, the possibilities are endless. Here in the writers’ room, Susan and Chris Hart were talking about Boutiques and thought “Google is going to kill the online shopping sector.” Whatever happens, Google once again is expanding the paid search sector and making results even more relevant for its users. Now let’s get into a review of the product. If you hate fashion but are still interested in how Google set up Boutiques, stick around. I played with it for a bit and I love the thing. Yes, it has some bugs to work out, but that’s OK. I’d much rather spend a little extra time navigating through the bugs than spending a ton of time looking for clothing articles I like, one at a time, in a search query. And (listen to this retailers), I would be much more likely to click through to a merchant site via Boutiques.com than a PPC ad. Don’t know your personal style? Don’t worry, Google will tell you [chuckle]. And while I’m not 100 percent certain about the method in which it tests your personal style, I think the way it categorizes style genres in the end is pretty good. When you get to the Boutiques.com home page, you come to a style test. You choose between two different pictures of what your style is more likely to be, or you can pass on either and go on to the next choices. 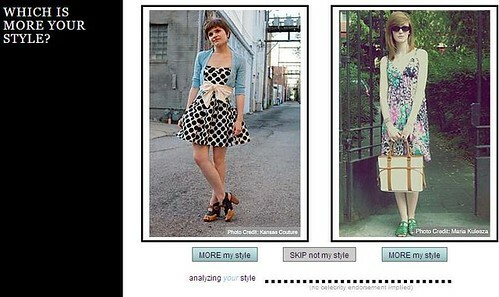 Anyway, once Boutiques.com applies its algorithm to categorize your style, you can learn more about the genre (“romantic,” “boho,” “casual chic” – that one was me). If you’re like me and you tend to lean towards a genre but like to mix it up, you can add any of the categories you think apply to your personal boutique and those types of items will be found for you as well. Once your genre is set, you go through individual preferences for dresses, tops, pants and more based on silhouettes, colors and designers. You can move the criteria you “love” or “hate” into the algorithm (“hate” is such a strong word, was hoping there was a middle-of-the-road response for wishy-washy shoppers like me). Once your initial filters are set, you’re brought to your personalized store, giving you everything from dresses to pants to shoes to bags and more. The cool thing is the advanced filtering options. Google sums up the filtering features in its Boutiques.com announcement. Once you’ve had the chance to browse the clothing in your boutique, you can further refine by deciding once again whether you hate or love individual items and why. It’s aiming to give you everything you want and nothing you don’t want. And while it’s not always accurate, it served up a fair amount of things that seemed to be very “me.” Then, once you refresh the page, all the hated items seem to go away (except I could not get rid of this one darn leopard print top, so I just had to keep hatin’ on it until it went away). A conversation with Susan earlier led us to wonder why people seem to be writing off Boutiques.com. Maybe it’s because they’re not really thinking about the implications this could have for online merchants and search. Make no mistake, this could be huge. Merchants who wish to be included, need to apply to Boutiques at this time. Boutiques is also available via iPad. You can also ponder how it might play into the new Google Shopper app for Android, where the smartphone can detect what products are nearby and if they are in stock using the phone’s GPS. So, what are you thoughts on the service and its implications? Thanks for stopping by and sharing your insight on the topic, Kirby! 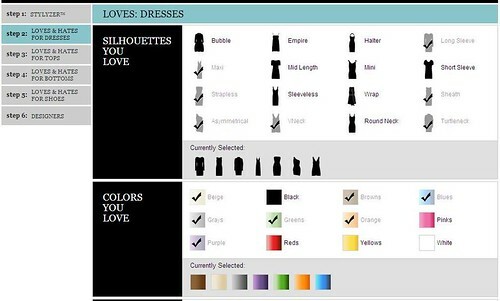 Leave it to Polyvore! 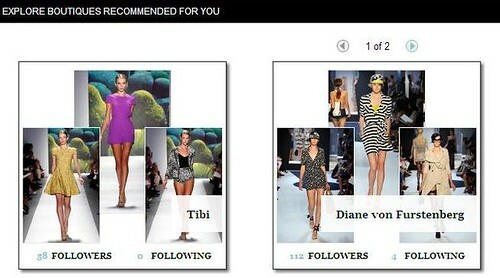 Net-Porter & The Fashion Bible to set the trends in Fashion technology! Taking something that’s so exclusive & then giving it to the masses in the form of Barbie Dress up Boutique then using the tech to drive sales & ppc results in the search engine a bit like how facebook uses your “like” stats to edit the advertising content your being feed constantly is very clever. However coveting the 100 trillion garments out there is a job I would rather leave to google. Plus in this case the ppc traffic wont generate sales as the high end consumer is not looking through google to find her next designer purchase! Its a great ppc model I would like to know cpc from a business perspective especially as Polyvore offer it for free. Well, good morning, Andy — our loyal reader! Well essentially Google does tell you what to wear already when you do a search for an article of clothing. This way, you can weed out the styles you wouldn’t take a second glance at anyway. It could be huge, but do people really want Google to tell them what to wear?